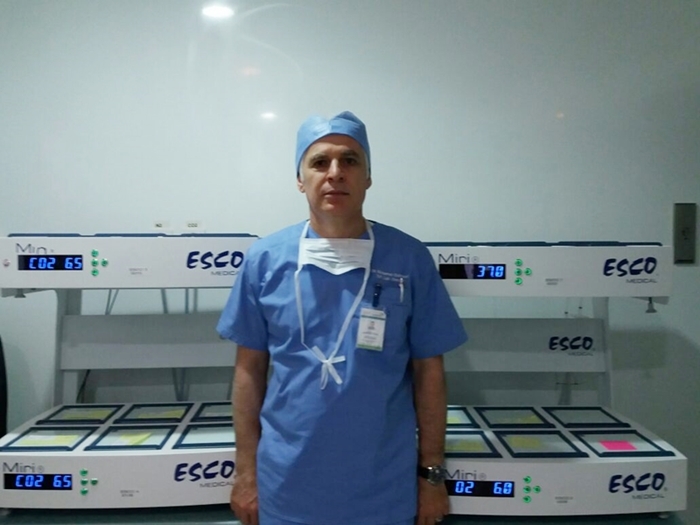 Fakih IVF Lab Director, Mohamad Elshmoury, with the Miri Benchtop incubators. Fakih IVF Fertility Center started with the vision of Dr. Michael Fakih, a Consultant in Reproductive Endocrinology and IVF who began his career in 1987. Dr. Fakih prides his staff on their original and innovative approach in treating all cases of infertility. At Fakih IVF Fertility Center, each couple is assessed, and a treatment plan is designed specifically for them. Fakih IVF Fertility Center continually strives to improve medical protocols and invests in the newest technologies to excel in their commitment to helping families grow and ultimately achieve the highest success rates.